Wesley-Knox is known as a place that builds Spirituality, Community and Special Moments. The presence of this faith community goes well beyond the physical walls of the building. To ensure that this can continue into the future and to allow for new and exciting outreach opportunities, Wesley-Knox has embarked on a major growth campaign. To Build Our Future, we will need to grow Ministry and Pastoral Care, restore and improve the building, broaden community outreach and expand the Music Programs and their outreach. This will depend on the support of Wesley-Knox members and friends. 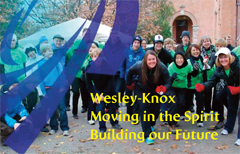 You can contribute directly to the future of Wesley-Knox by donating now. Thank you! On Sunday, October 18, Wesley-Knox launched its new Building our Future Growth Campaign. What’s it all about? Click on the image below to view the YouTube video that was screened during Sunday service. Click on the audio player below to hear Sheila LeClair, chair of the Building our Future committee, speak about the campaign and share some hopes and possibilities for our church. The committee has prepared a brochure and pledge form that everyone will be receiving. The brochure may be viewed here, the pledge form here. 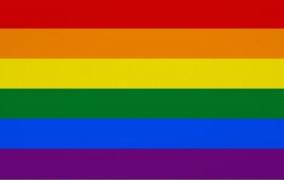 More information soon about specified activities associated with the campaign. You can help the Building our Future Growth Campaign here online using using PayPal or PayPal with a credit card. Click on the button below. It will take you to a secure PayPal site. All donations are fully tax-deductible.